First of all, Happy Birthday Jenny! Yes, I know that your birthday was last Thursday, but I didn't want to spoil your birthday surprise by posting this earlier. But now that you already know what it is, I can publicly say Happy Birthday to the best sister ever! It has been great watching you grow up over the past few years. I am so proud of the person that you are becoming, but the best part is how we have grown closer over the years. I am so glad to have you as my sister. I really look forward to spending more time with you next year when you move to Portland! So in honor of Jenny's birthday, I made some solid lotion bars that she had asked for awhile ago. Lotion bars are a great gift and are awesome for several reasons. Since you control what ingredients go into the bars, they don't contain all those nasty chemicals in most skin care products that you might want to avoid (read about it here in my post about homemade face wash). You also can customize the scent and ingredients however you like. I prefer the solid lotion bars to the homemade liquid version because they are less perishable. Whenever you mix water into oil (as you do for most homemade lotions) bacteria will eventually begin to grow in it. With solid lotion bars, you don't have to worry about that. They also are less messy to make, store, and even to use. To use the lotion bars, you just warm them in your hands for a few seconds and then rub them over your skin. A thin layer of the lotion is left on your skin and you never have to worry about squeezing out too much lotion again! Finally, they are incredibly easy to make. 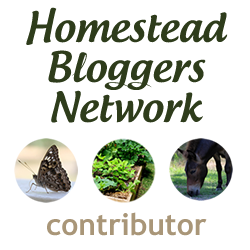 There are many recipes out there (such as this one from Common Sense Homesteading), and many more potential variations that you could experiment with. Here is the version I made for Jenny this weekend, but once you get started be sure to have fun playing with all the different options! 1. Place a mason jar in a pan of hot water on stove-top (Note: you may want to place a cloth on the bottom of the pan or remove the jar when the stove is actually on to prevent the jar from breaking). You could also use a double boiler, however beeswax is difficult to ever completely clean off, so unless you are willing to dedicate a pan to all your future beeswax related projects, I find dedicating a mason jar is often easier. 2. Add the coconut oil and beeswax to the jar and stir until it is melted. Then add the shea butter, stir until just melted and then remove from the heat (shea butter should only be heated gently). 3. Add in the essential oils and then quickly pour the liquid into molds. I used an old cupcake tray, but it might be easier (and make prettier bars as well) if you use silicone molds such as these Daisy Flower Silicone Molds. 4. Allow the bars to cool completely before removing from the trays. Placing them in the freezer for a few minutes will make it easier to remove them from the mold. Have fun experimenting and Happy Birthday Jenny! Note: This post contains affiliate links. 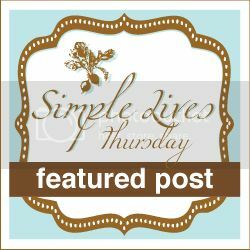 If you choose to purchase any of the products linked in this post I will receive a small commission. Purchasing these products through one of the links in this post will not cost you any additional money and the money earned through affiliate links is used to cover the costs of maintaining this blog. Rest assured that I only link to products that I have used and recommend. I have an obsession with collecting lotion bar recipes - thanks for adding to that obsession. Saw you on Natural Living Monday! I haven't had too. There is enough beeswax to keep them from melting generally (at least when they are at room temperature). If they were going to be stored some place warmer you might need to add some extra beeswax to keep them solid. My favorite essential oil combination is lavender and lemon. So clean, fresh and sweet! Thank you for sharing your lotion bar tutorial. I plan to make some soon. This looks awesome and I am always looking for new ways to make lotions. 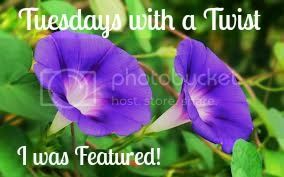 I just wanted to let you know that I am featuring this post on Tuesdays with a Twist link party, please stop by Tuesday morning to check it out. Thanks again and have a great day. Where do you buy your shea and beeswax? There are a gabillion vendors online. Its overwhelming. I buy them from Mountain Rose Herbs. I know that I can trust them to source very high quality products. I've seen these around on pinterest but didn't know how they actually worked or how to make them. Thanks so much for sharing this tutorial with us at the HomeAcre Hop!